Have a peek here for yourself! Comes in 15 sizes, 6 models and 32 colours! Eyewear that is flexible & safe for children. 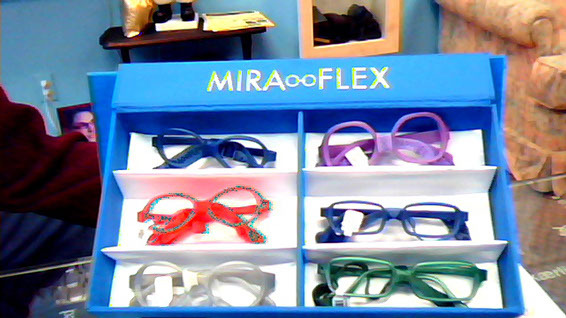 Miraflex is available for as young as 3 months to age 12 years and over. Unique light malleable material is designed to adjust to individual faces and the bridge is anatomically designed to make early age eyewear acceptable. Great for babies, toddlers and sports activities. Comes with an adjustable elastic band for a comfortable feel on the child's head keeping it snug and centered. Choose from 6 models, 14 sizes and 32 colours from our in store display to try on your child. 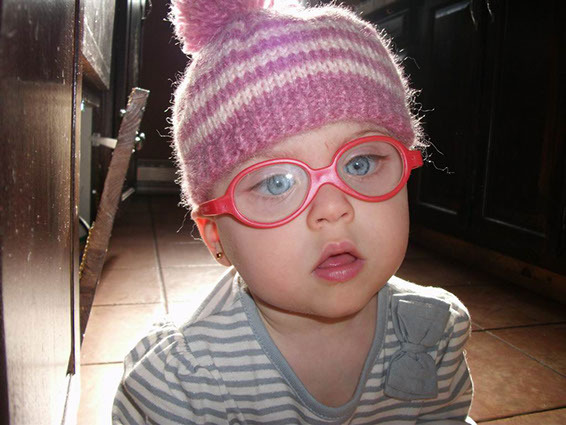 These frames are highly recommended by children's eye specialists and our little people are enjoying wearing them!